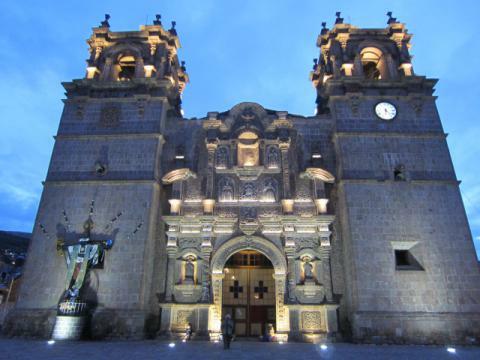 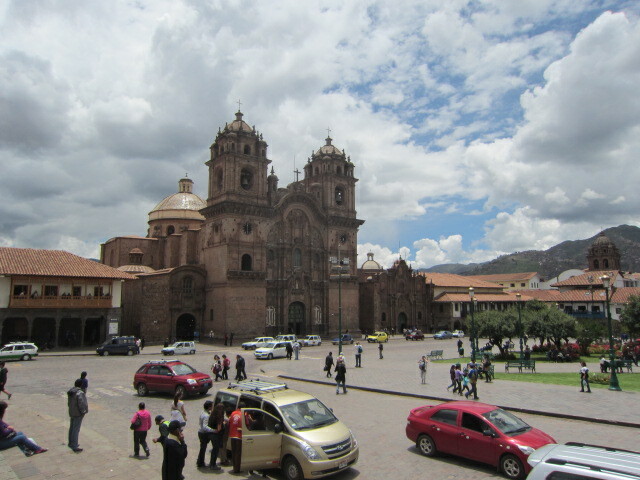 I reached Puno from Arequipa by bus after 6 hours.Catedral in front of Plaza de Armas. 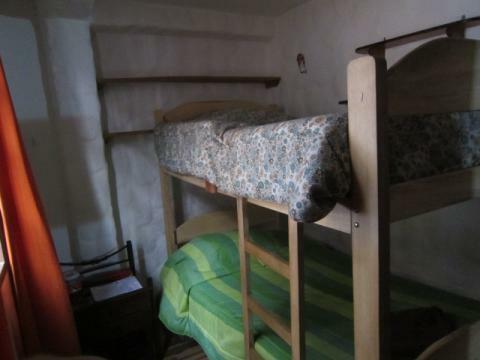 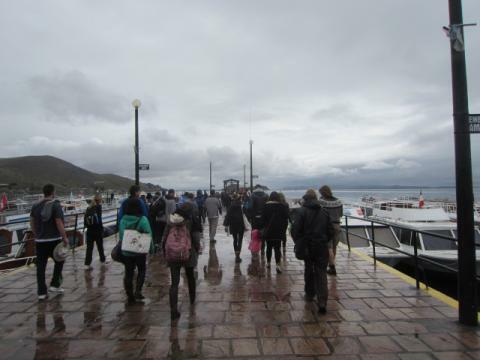 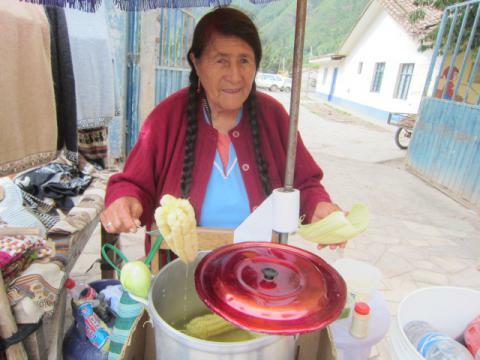 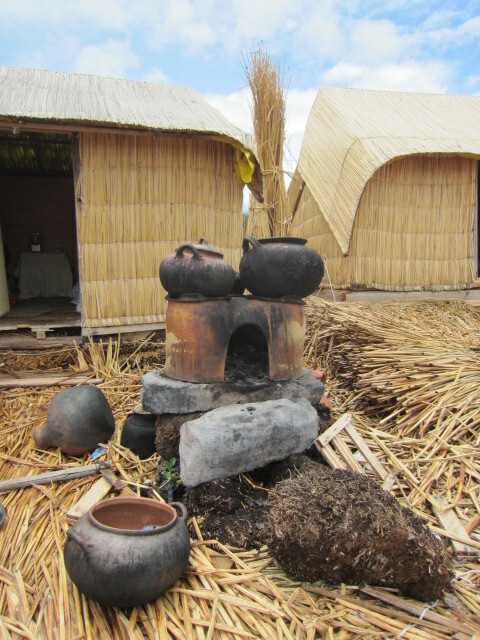 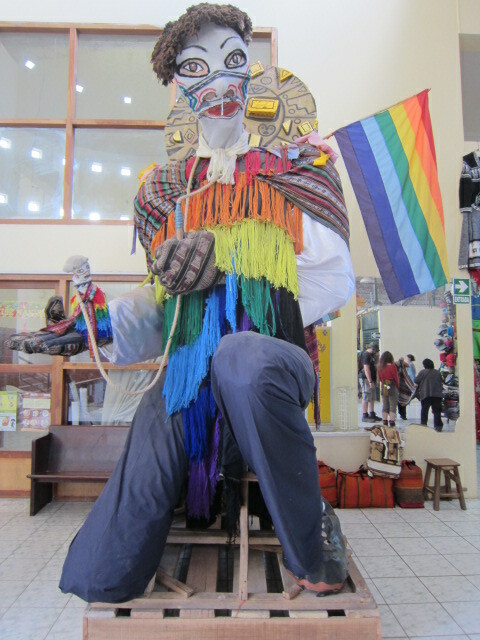 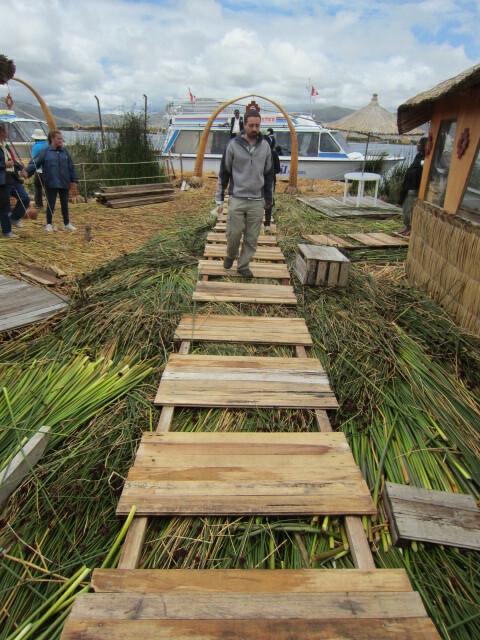 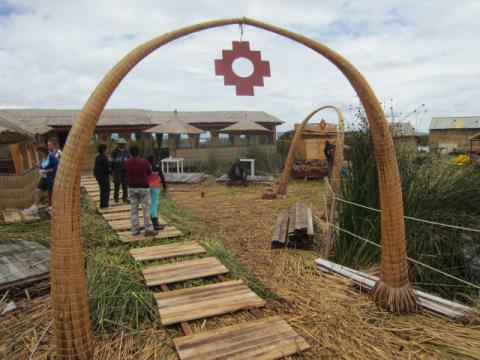 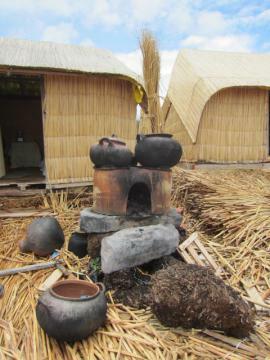 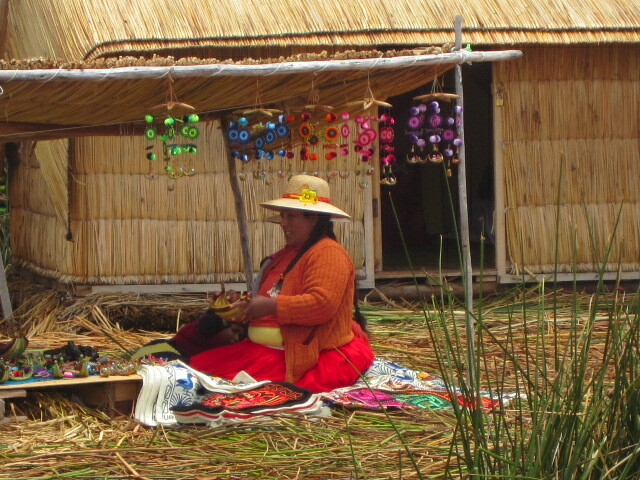 The next day,I joined a half day tour to Isla de Los Uros. 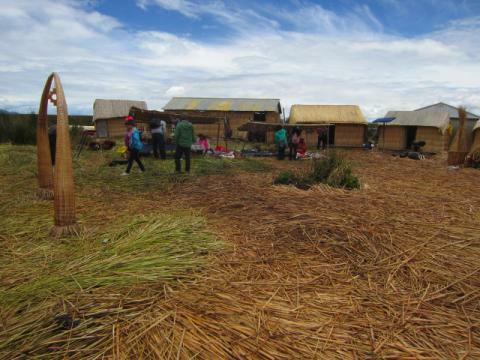 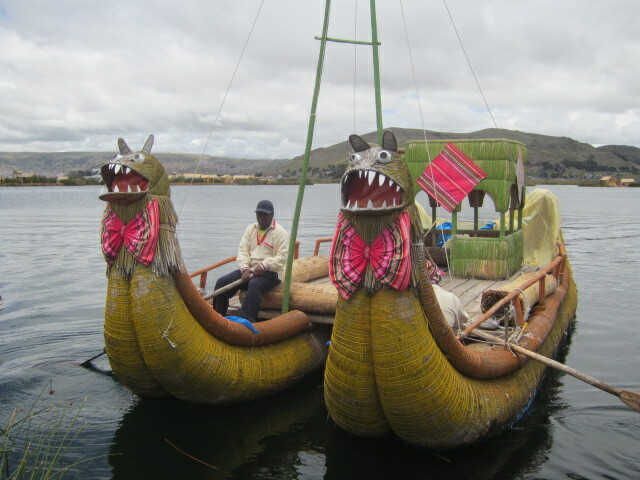 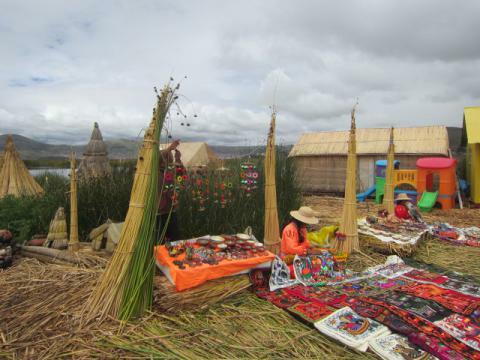 Uros islands are floating,all made from water plants called Totora. 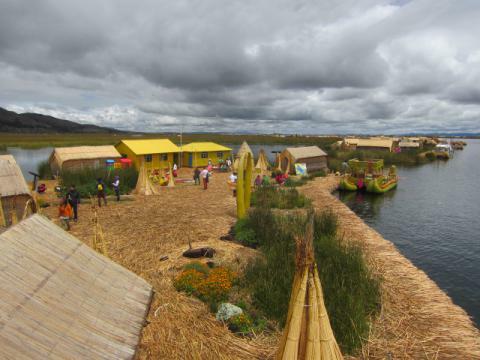 There are 60 to 80 numbers of islands on water.Why are those numbers not settled? 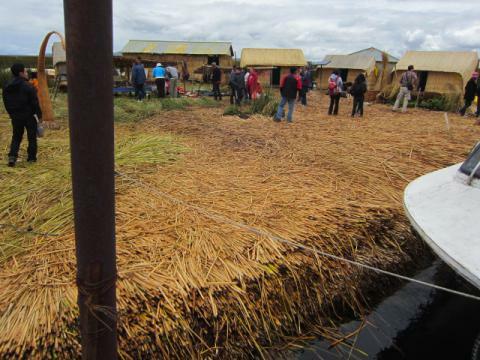 It's bcz they cut one island into two pieces to make private ones when the families got fight. 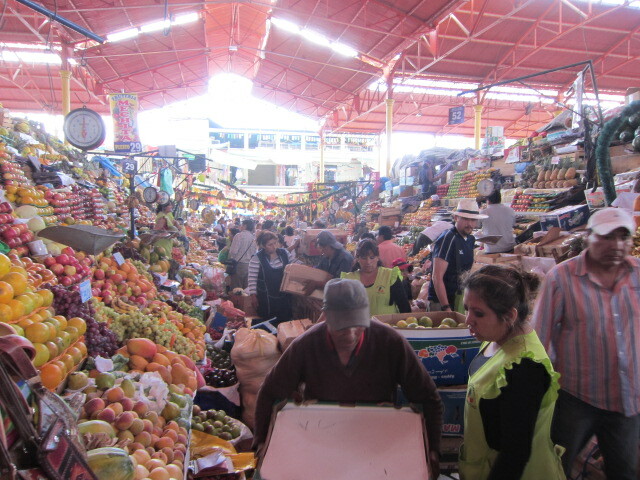 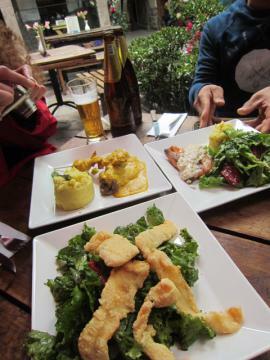 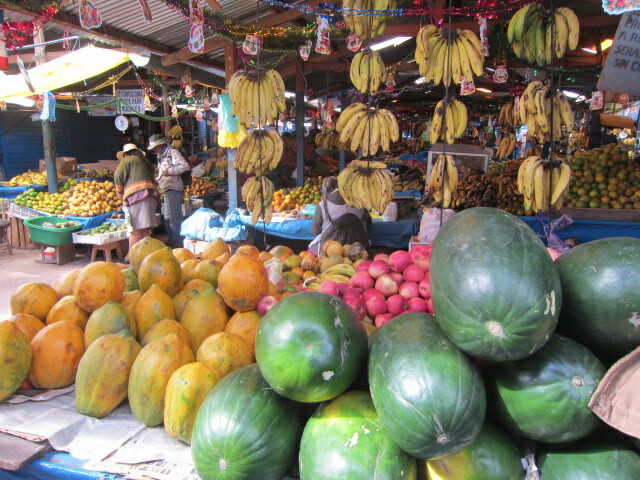 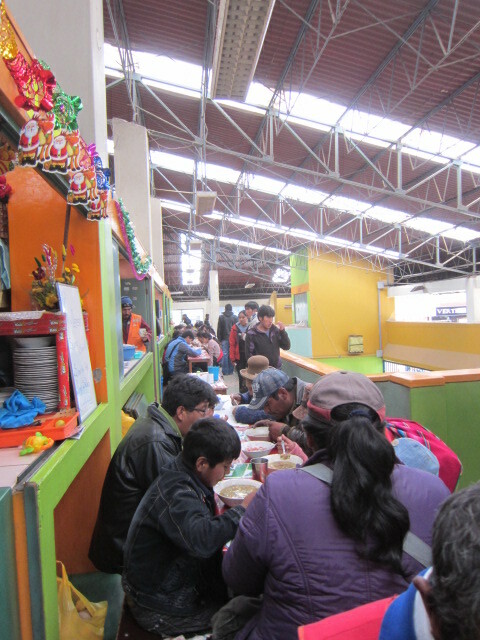 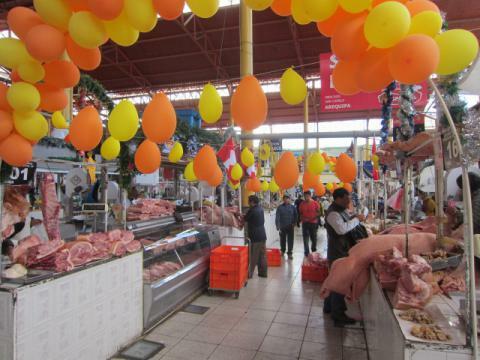 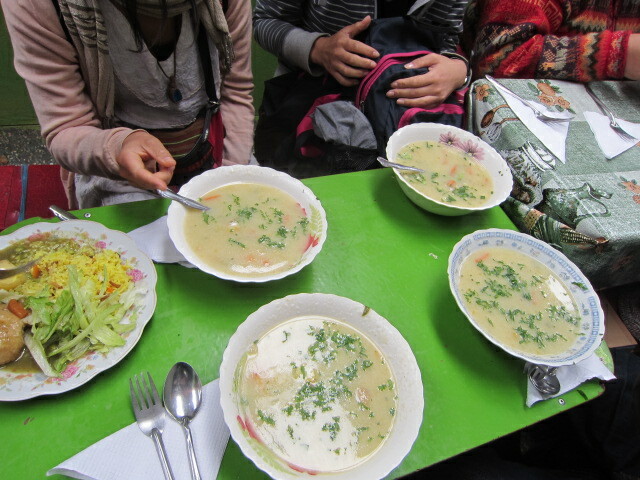 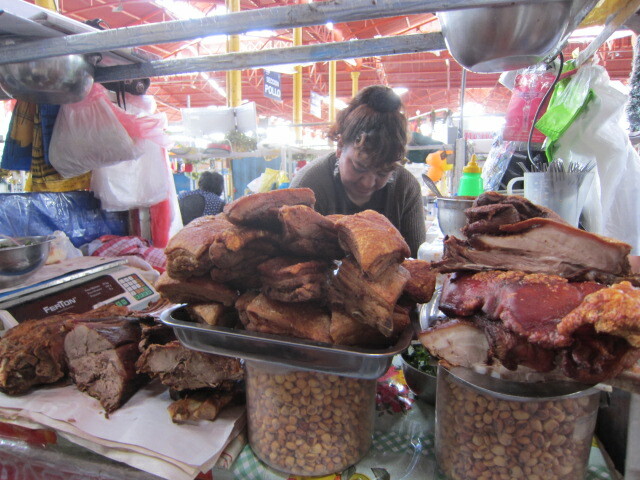 I came back to Puno after the tour and went to market to have a lunch with three people from Japan. 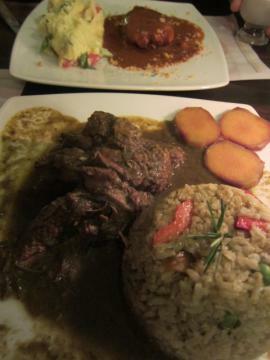 grilled beef with bone marrow and noodle rice.4 soles. One of the Japanese,Rihito has a plan to get Uyuni in Bolivia by bus,which is same as mine.We started for Bolivia together. 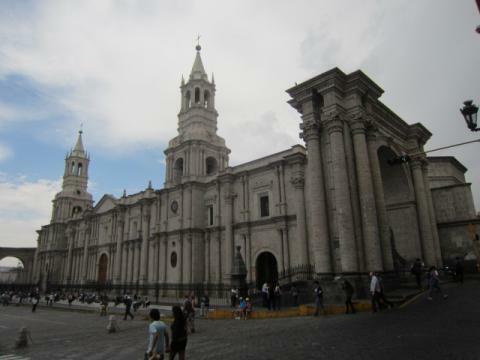 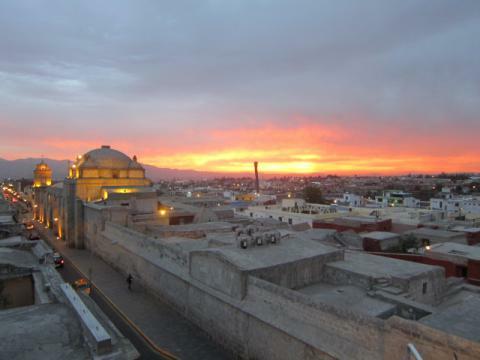 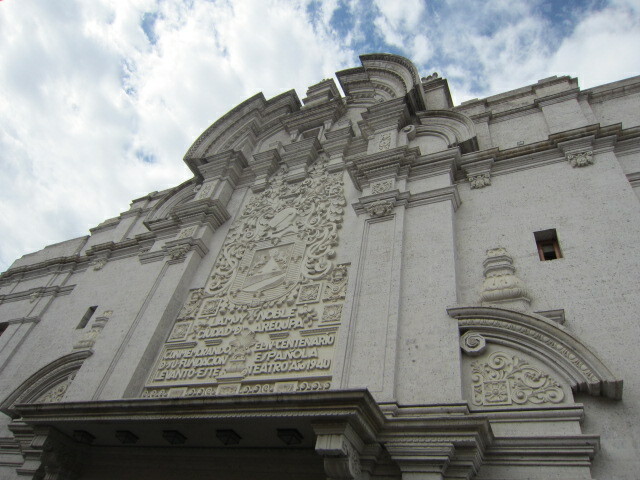 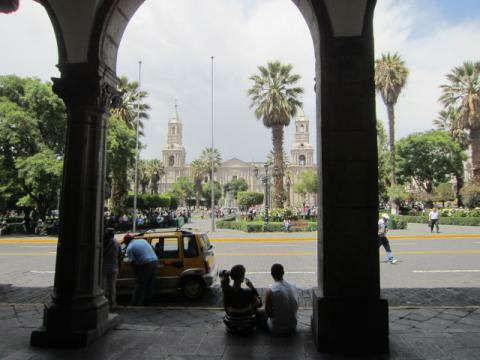 I reached Arequipa.I met JIN from Korea and we hang around Arequipa together.Catedral. Catedral through Plaza de Armas. 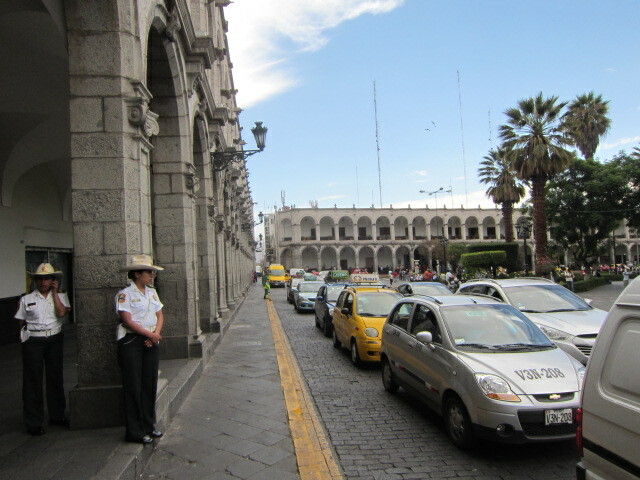 Female police around Plaza de Armas. We decided to have a lunch here. 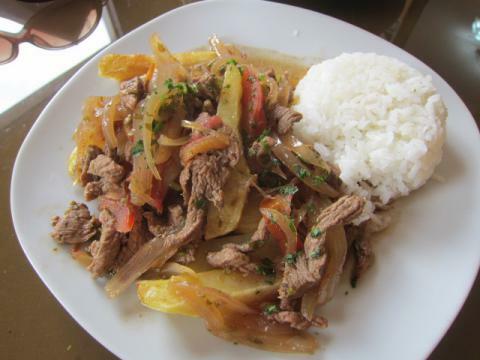 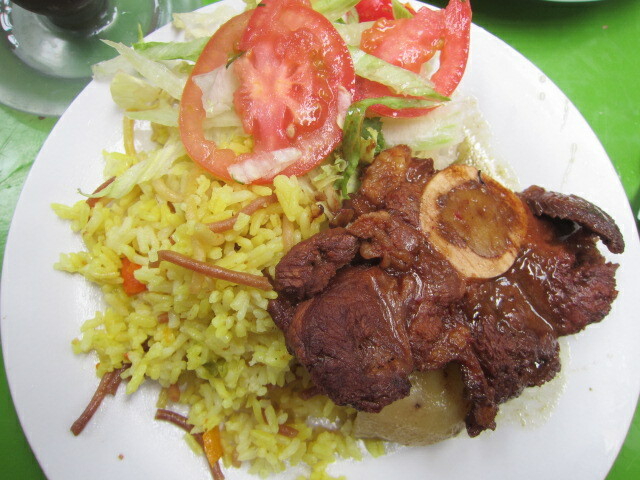 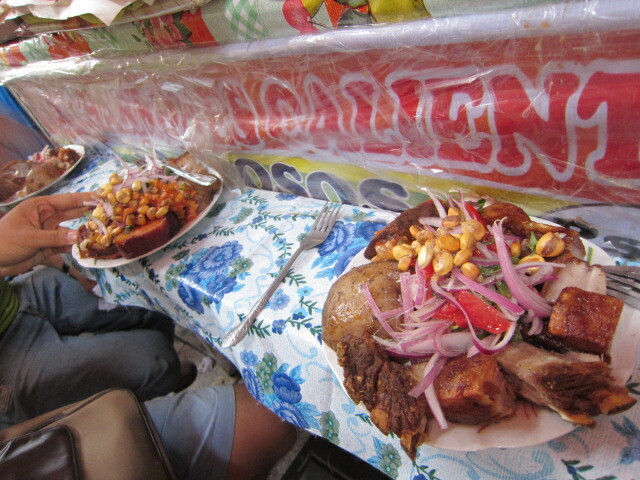 Chicharron(deep fried pork) with onion salad and potapoes,10 soles. 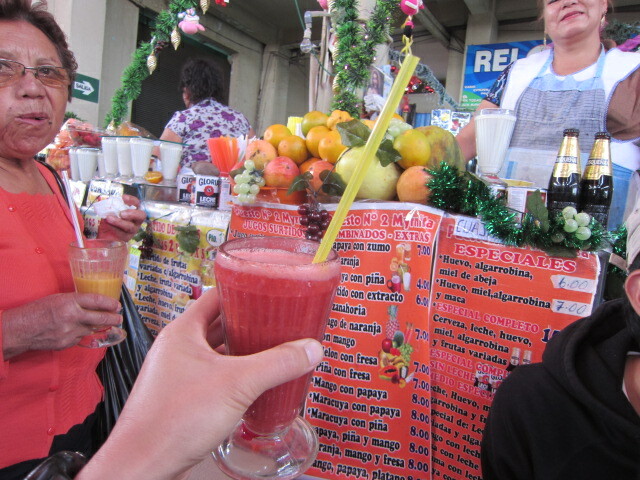 JIN got me a strawberry juice after lunch.Lovely taste! 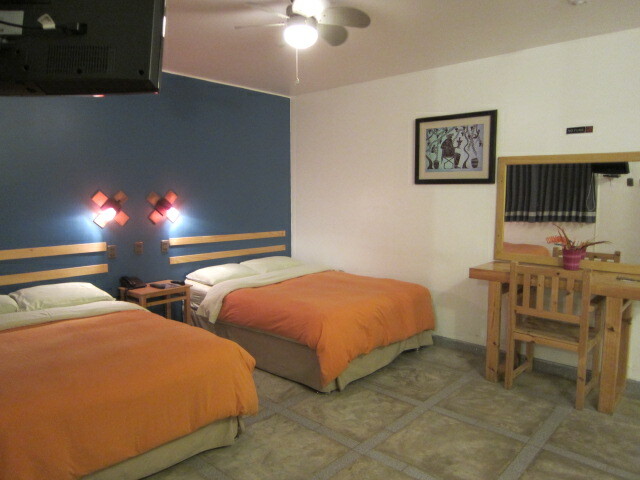 I stayed at this hotel,La Reyna.I felt so comfortable here. The next day,cloud hide mountain. 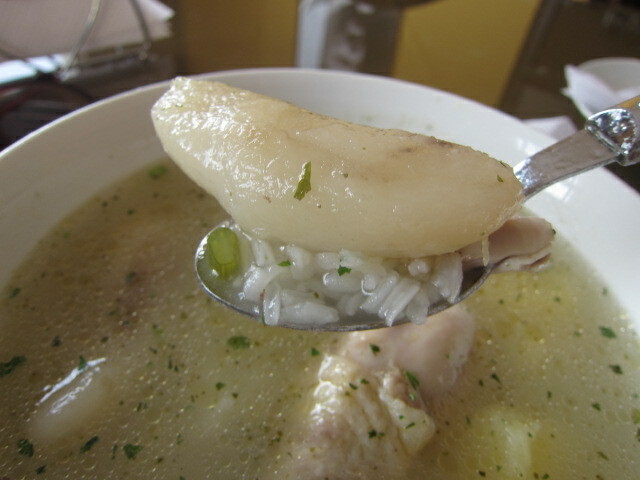 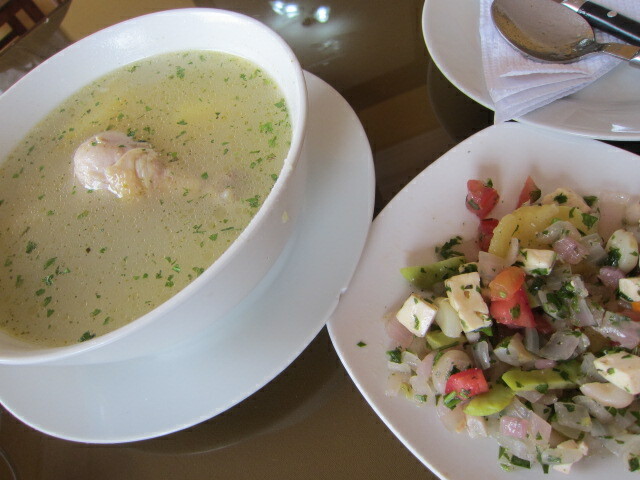 I was working on internet in the morning then went out for lunch.Small salad,chicken soup with arroz. Is this kind of burdock root? 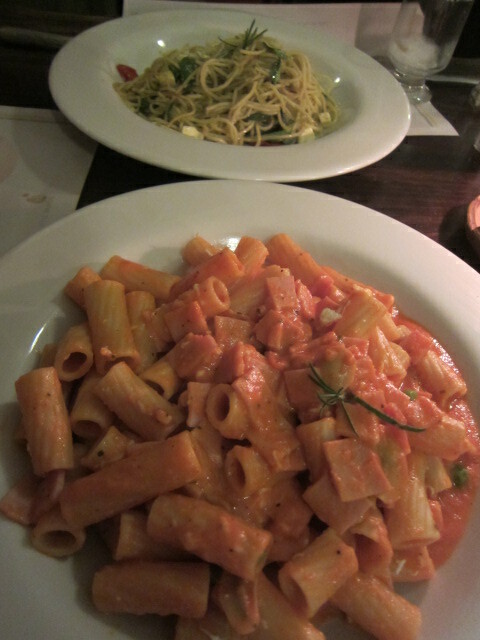 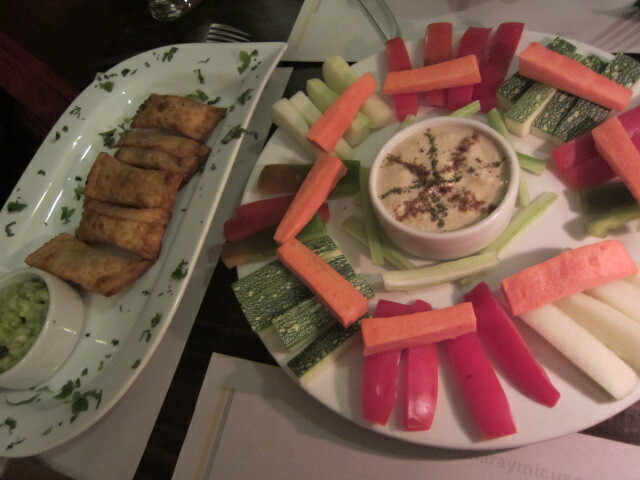 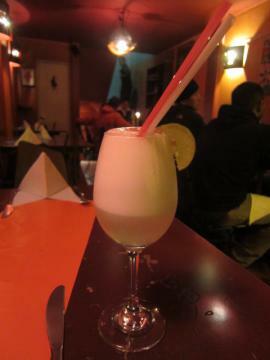 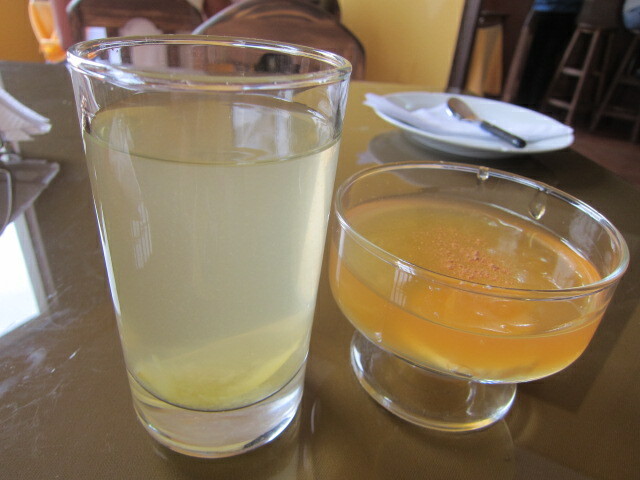 they served juice and desert too...I got so full up to my throat!!! 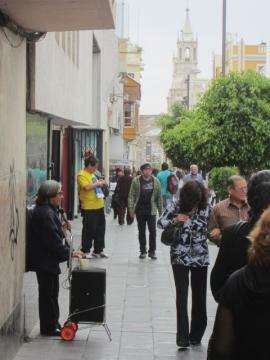 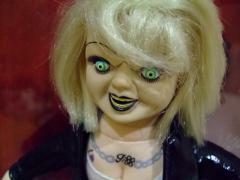 I found one woman singing Karaoke on the street.I don't know why but I got so attracted by her song. 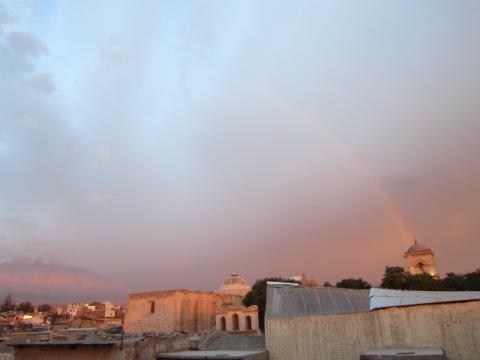 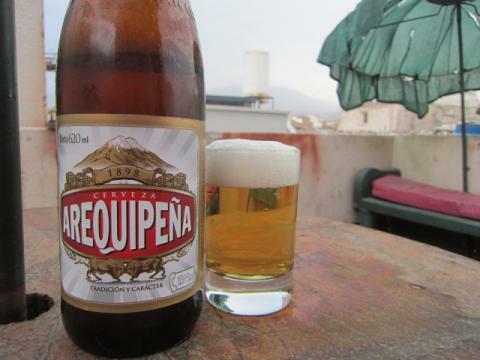 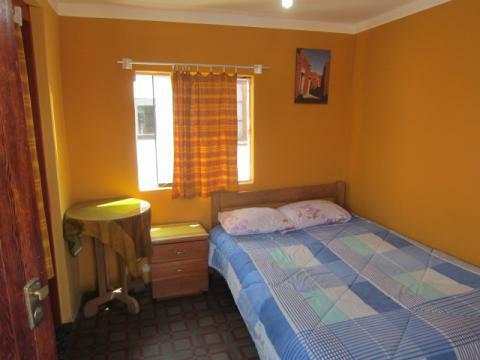 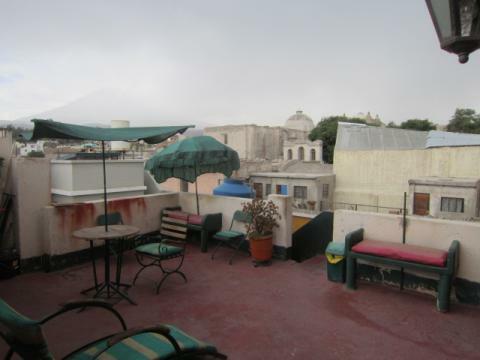 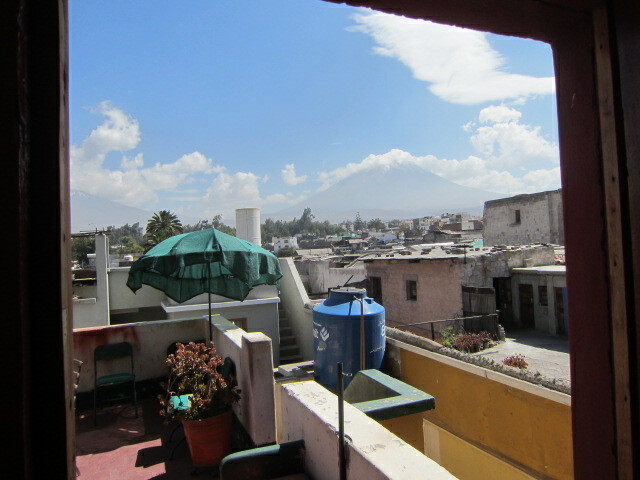 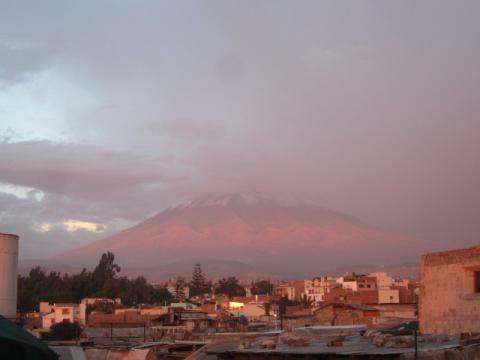 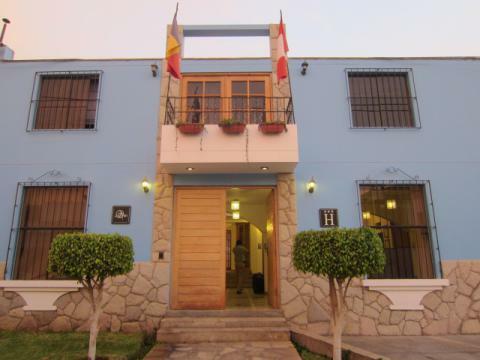 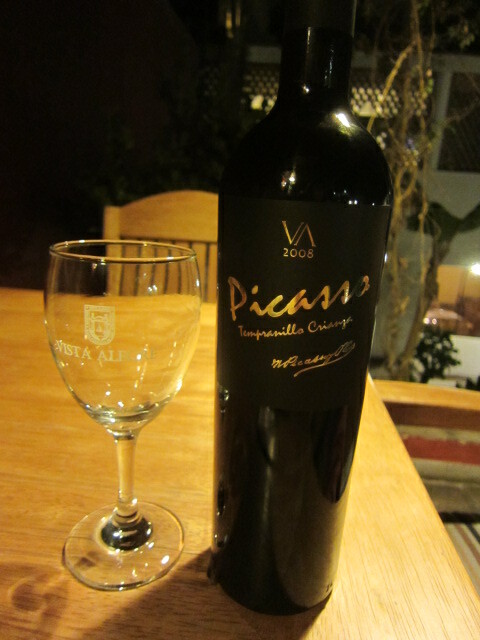 I went back to hostal and internet again with Arequipa beer. 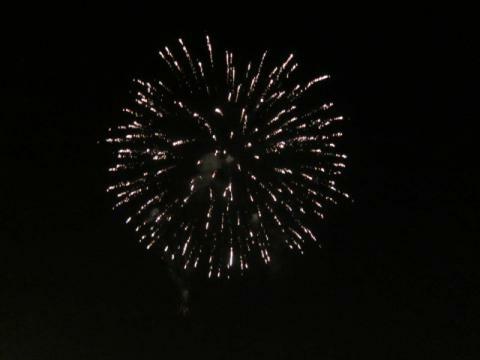 Hola,fire works.I really enjoyed this hostal's rooftop. Beautiful sky when I checked out. 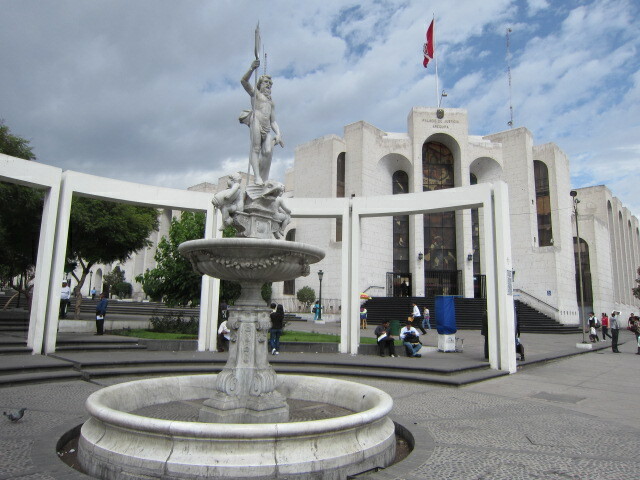 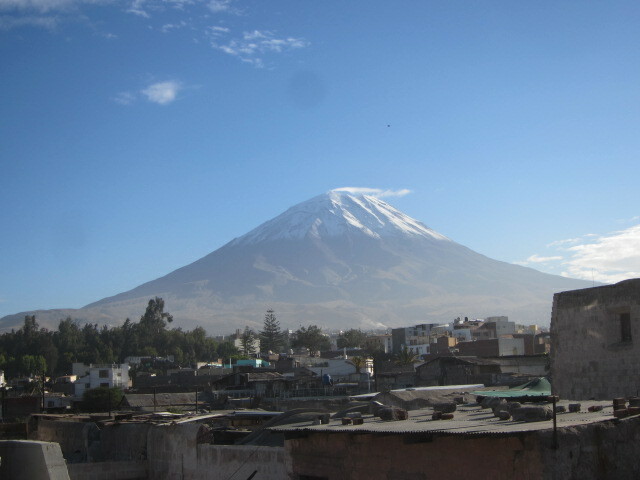 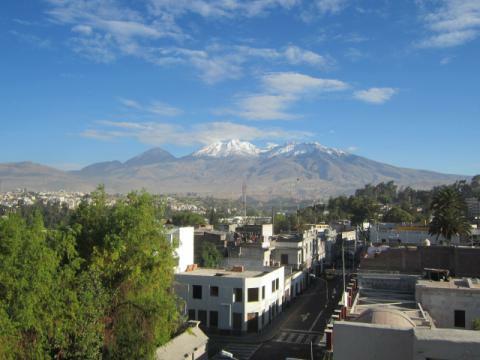 Adios,Arequipa.I am going to Puno by bus. 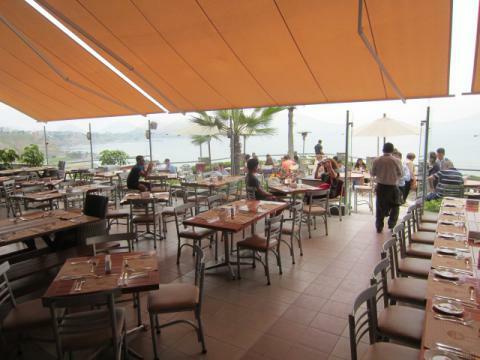 Lunch buffet with nice view at restaurant MANGO. I don't remember how many times I got refill.We paid 61 soles but well worth it! 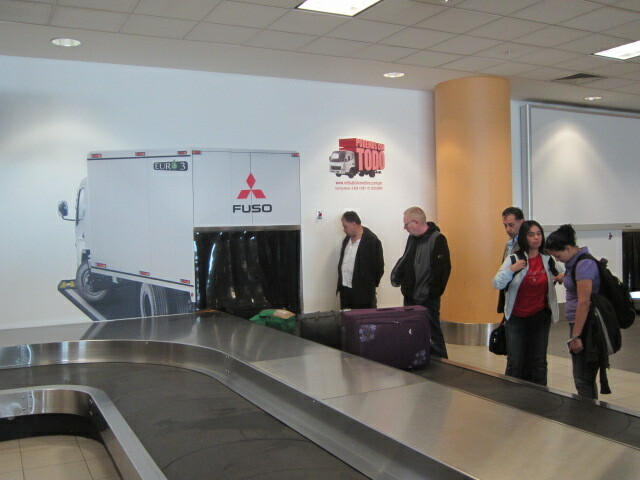 And they've left for Japan finally.Hasta luego! 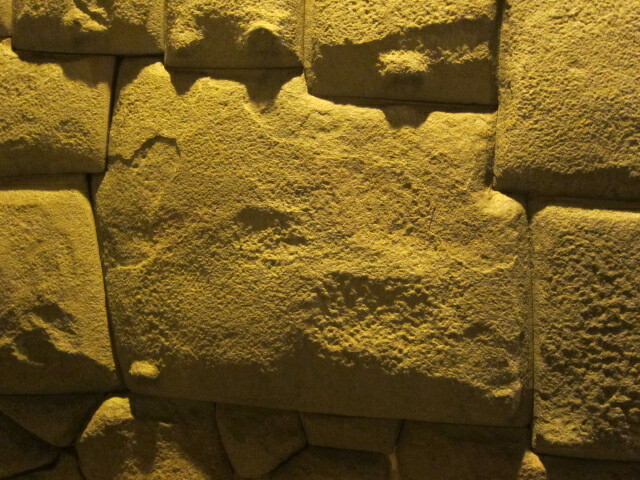 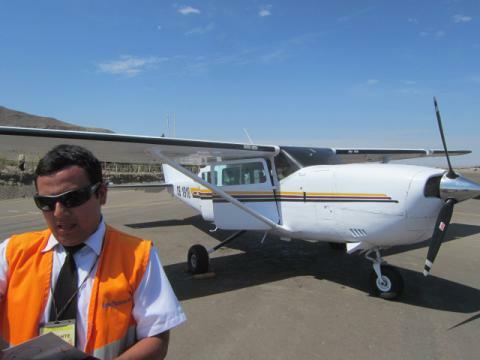 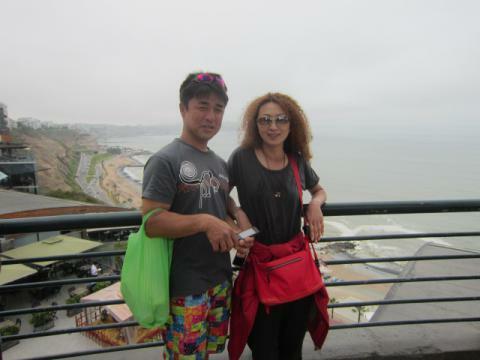 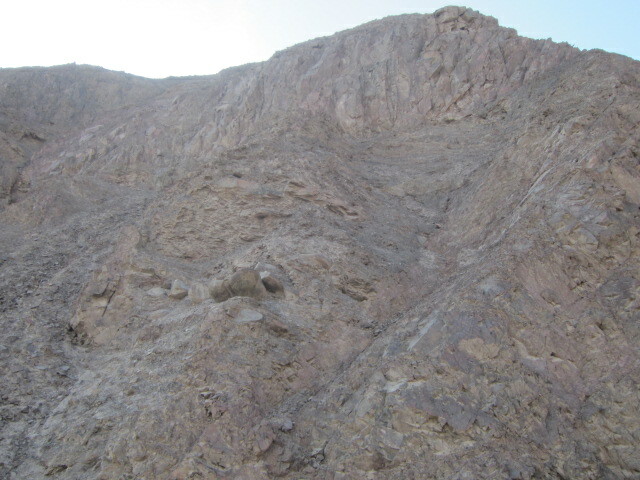 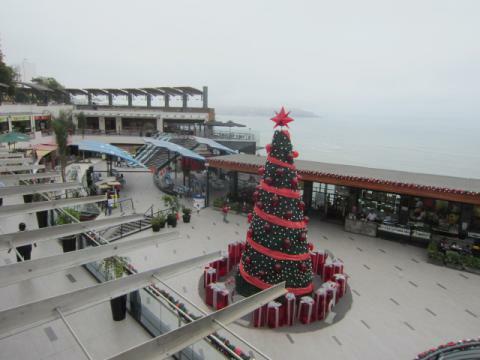 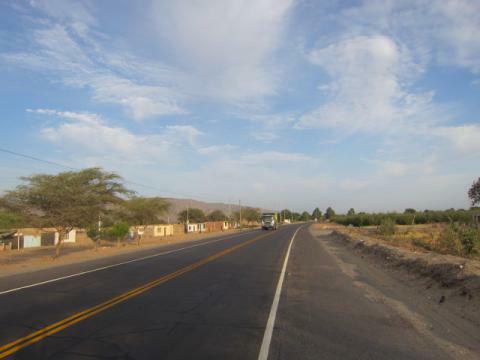 We came back to Lima to take a bus to get Ica for Nazca lines. 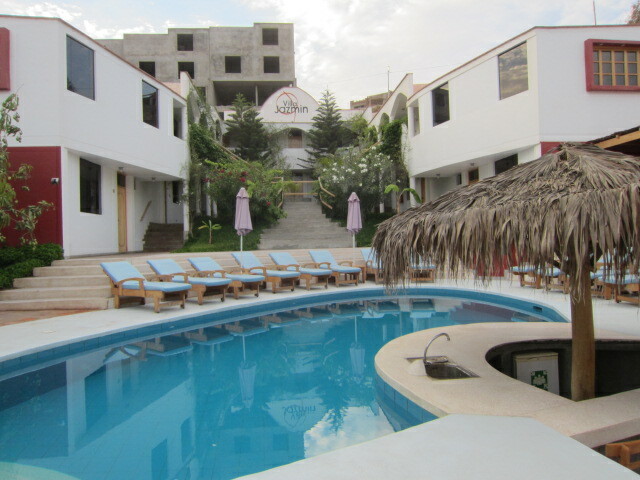 We stayed at this hotel,Villa Jazmin in Ica. 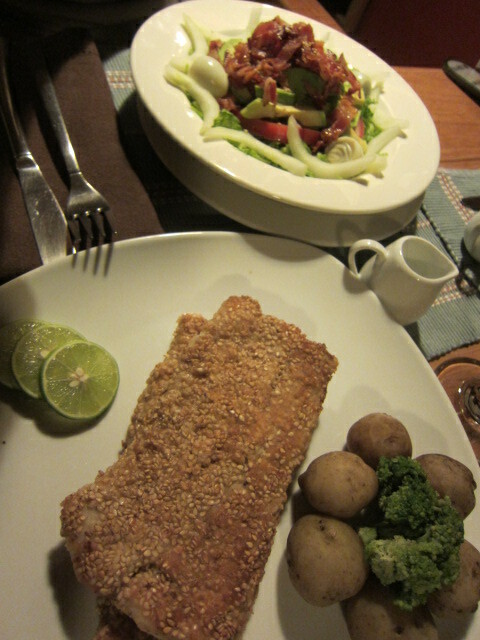 Nice dinner at pool side! 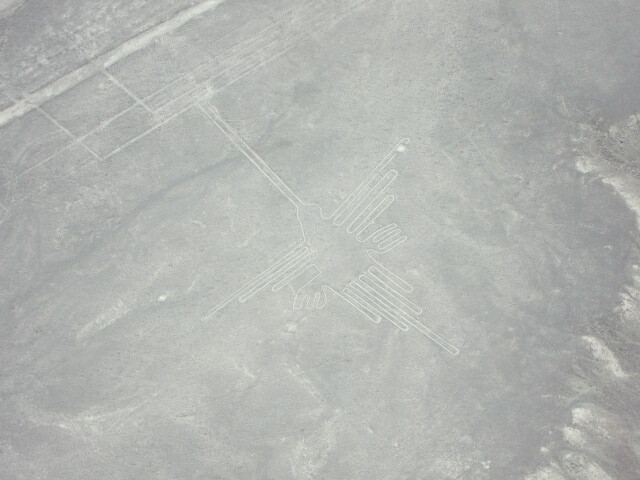 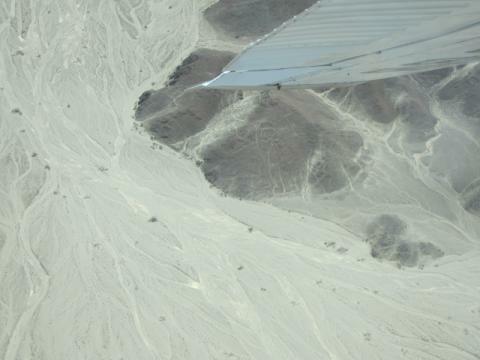 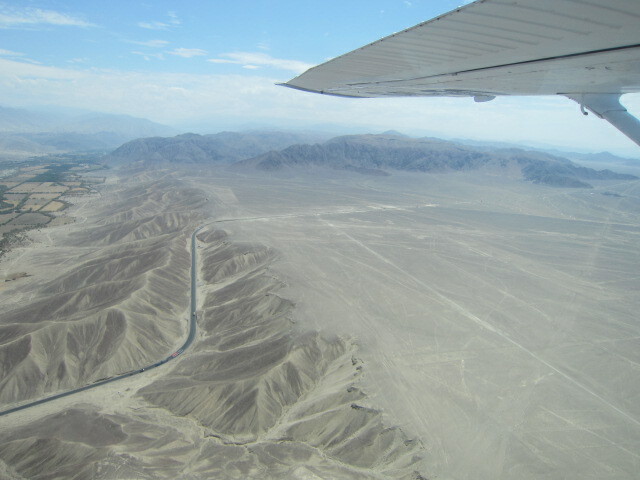 Some people say that Nazca lines may be made bcz of praying rainoffer for God.If it is true,sad story,isn't it? 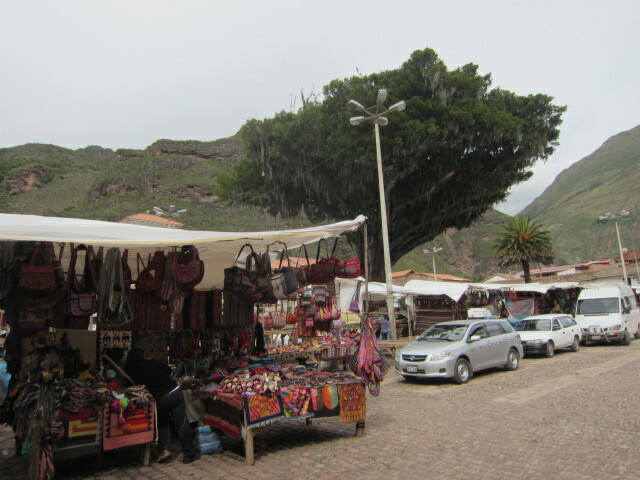 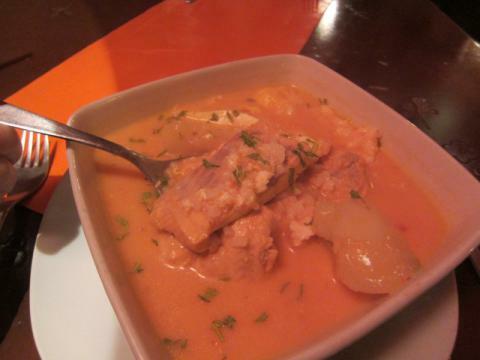 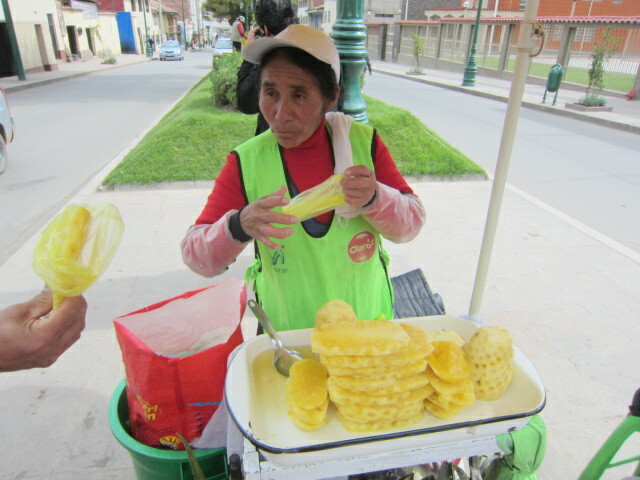 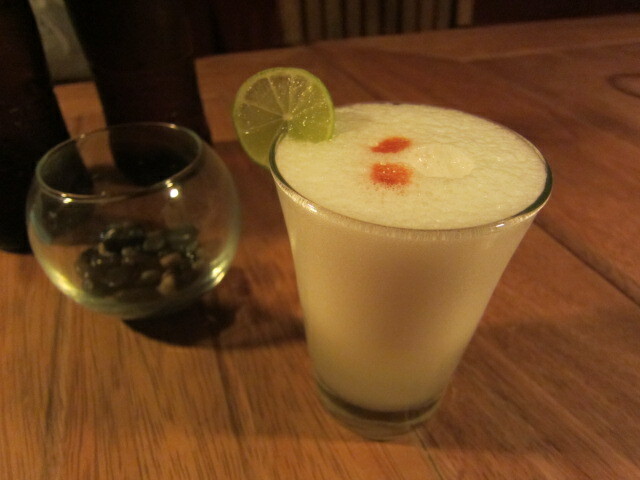 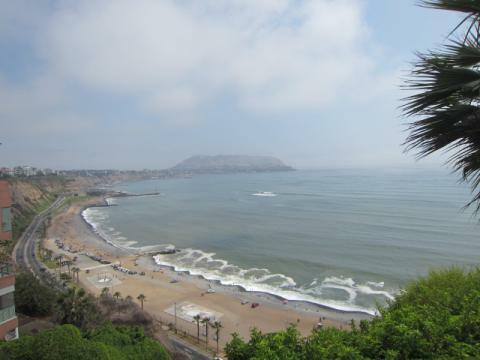 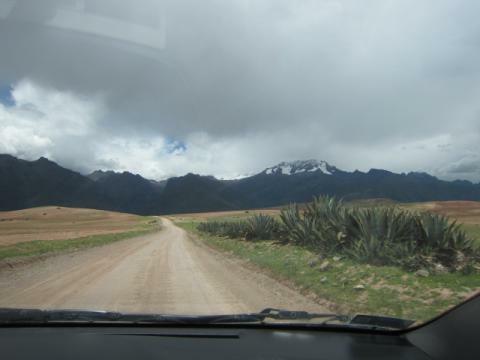 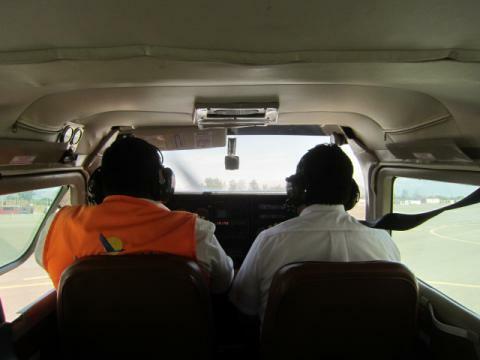 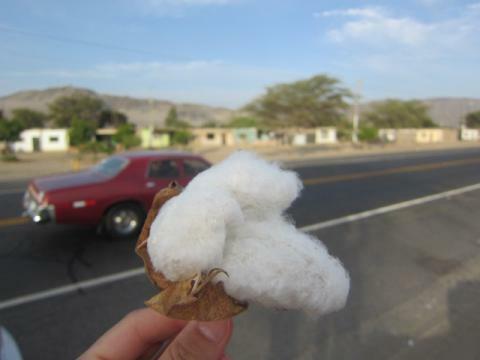 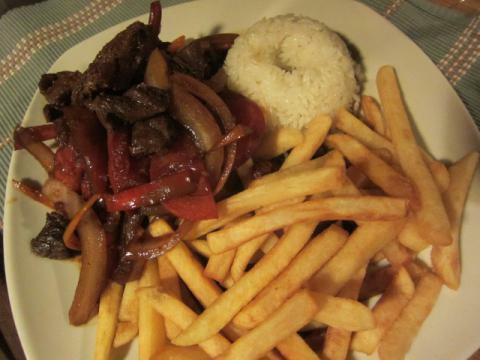 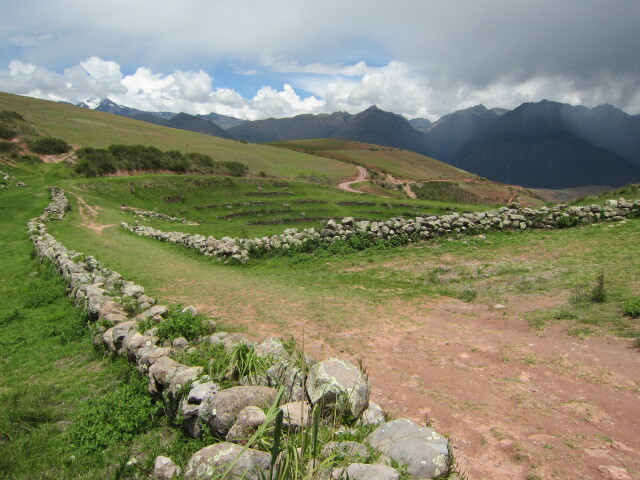 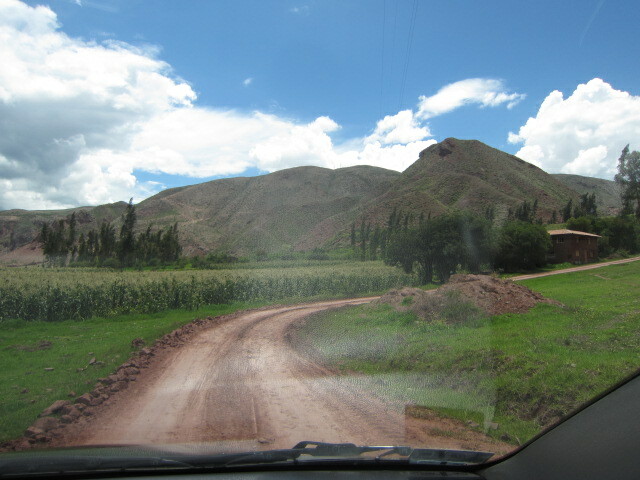 Then we went back to Lima. 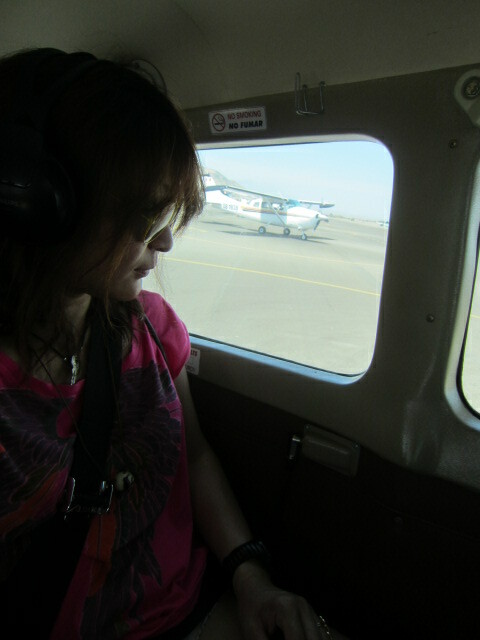 my sister and brother-in-law took flights to Japan. 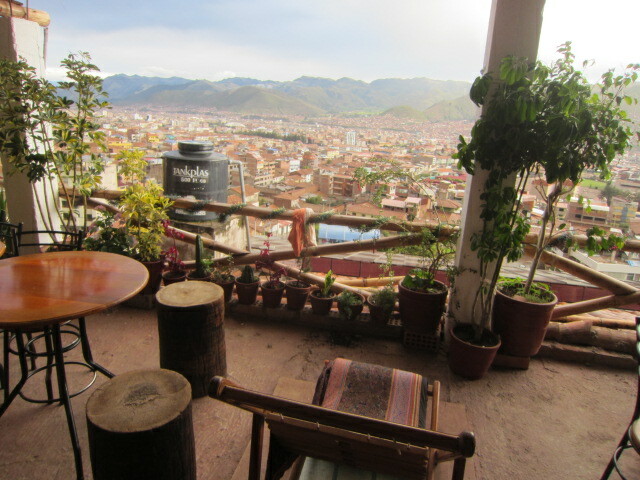 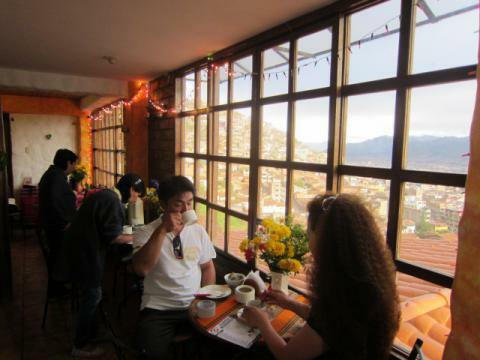 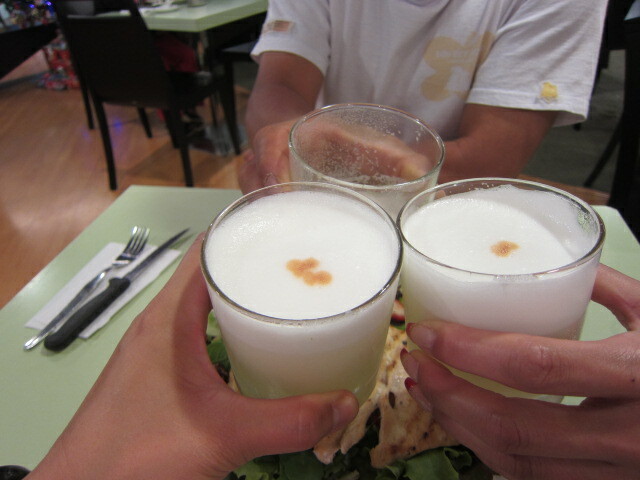 We arrived Cusco.Welcome drink is Coca tea,which is helpful for high altitude sickness. Nice view from the terrace. 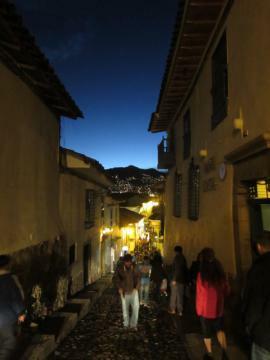 We go out to Cusco city at night. 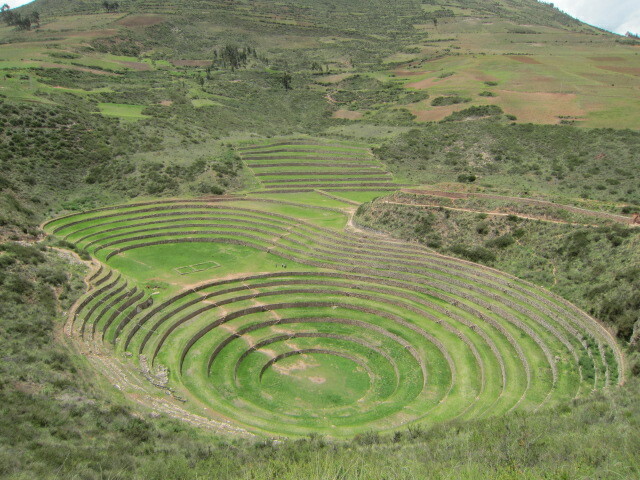 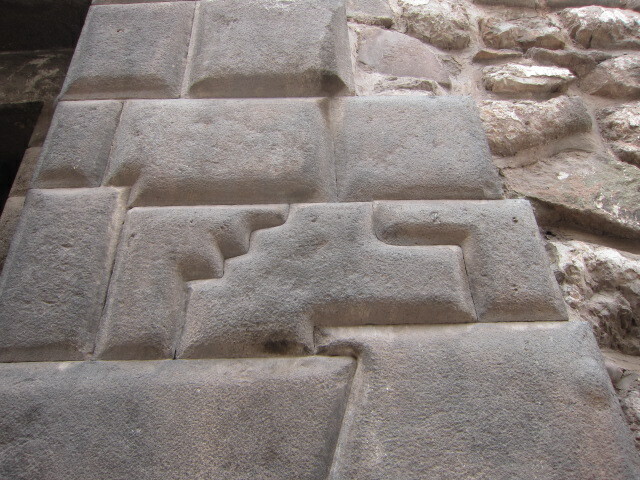 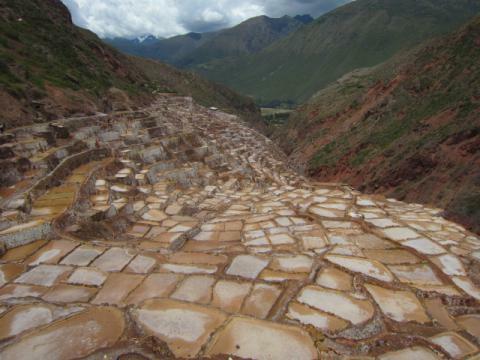 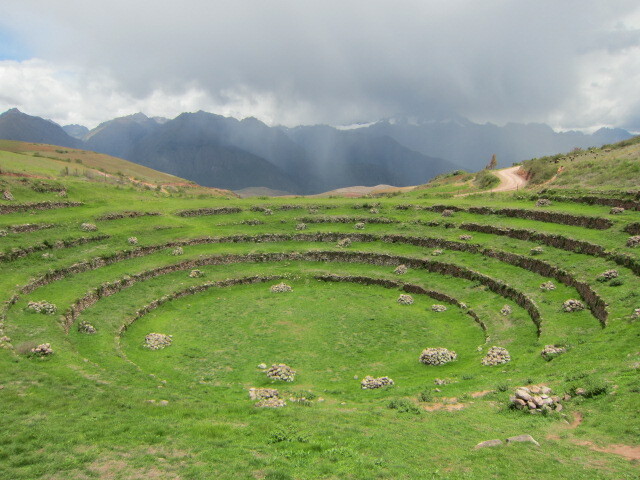 The next day,we enjoy Cusco whole day. 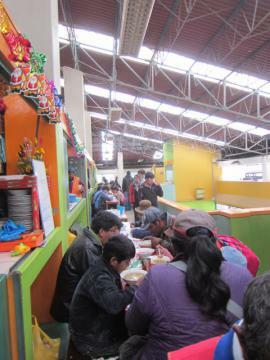 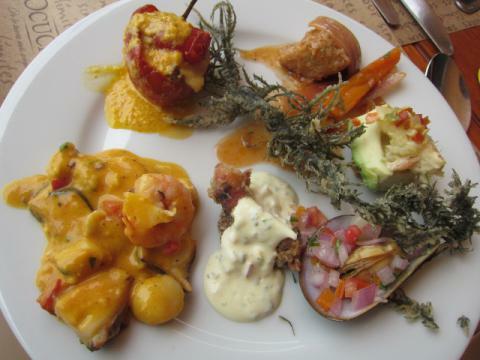 Seafood for lunch.Cusco is not seaside area,though. 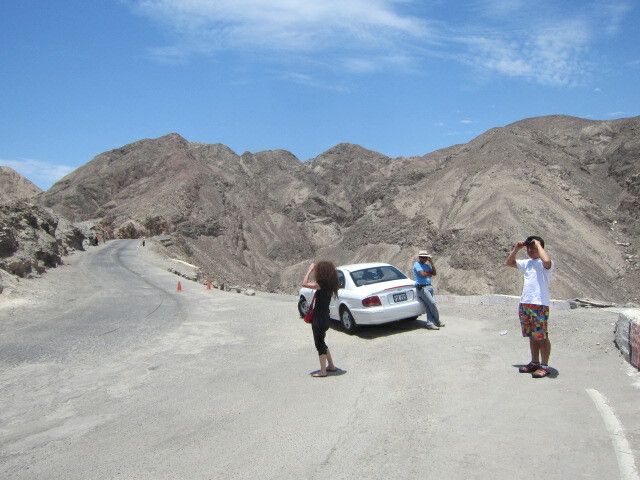 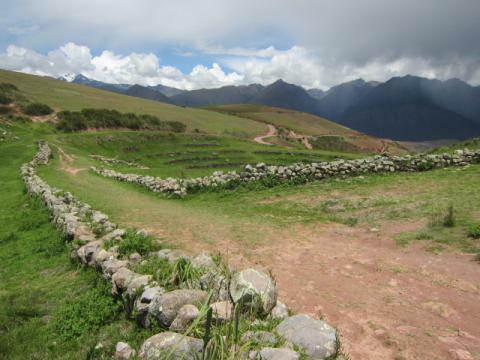 We go to visit the mystery spot in Peru tomorrow!